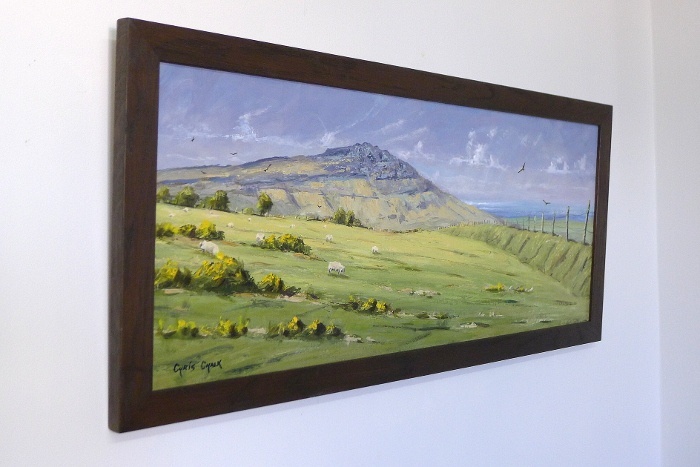 A painting of Carningli ( Angel Mountain, in English ) with the sea off Newport behind. Wild and rugged, Carningli is steeped in legend and it is said that Saint Brynach used to climb to the summit to find serenity, to pray and to "commune with the angels", in the 5th century. Lots of thick juicy paint put on with a palette knife gives an almost 3D effect to the scrub land and majestic Carningli behind.